He's been stranded on a deserted Cybertron, but IRONHIDE is about to meet the only two other functioning AUTOBOTS on the planet. One is an old friend in dire need of help, and the other is a legendary character making his IDW debut. 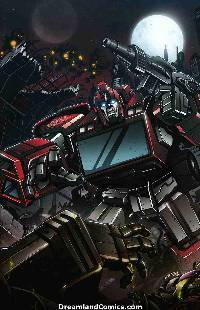 Mike Costa and Casey Coller reveal why exactly IRONHIDE-and his death-were so important to the future of Cybertron.